Memorial service will be announced at a later date by the family. 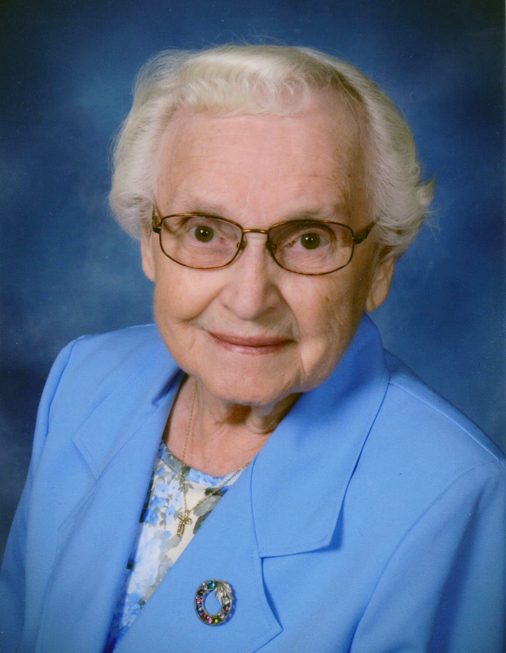 Mable L. Miller, 91, of Fort Scott, Kansas, passed away Friday, October 19, 2018, at Via Christi in Pittsburg, Kansas. Mabel Ladena Miller was born at home in the Hiattville area on June 29, 1927, to Roy and Bessie (Eisenbrandt) Ater. She graduated from Uniontown High School in 1945. She was married to Elmer Miller Jr. on July 11, 1946. She was a devoted wife, mother, grandmother, great-grandmother, and great-great-grandmother, homemaker, and worked on the family farm. 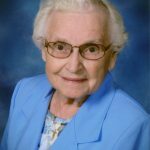 Mabel was an active member of the Hiattville United Methodist Church and member of United Methodist Women. She also worked as a volunteer at Beacon for many years and the Hiattville Election Board. Survivors include her sons: Robert “Bob” Miller and his wife Glenda, Roger Miller and his wife Lori; daughter Sandra Ellis and her husband Carl, all of the rural Hiattville area; two sisters Arla and husband Leo of Fort Scott, and Evelyn Shull of Kechi, KS; ten grandchildren, twenty-nine great-grandchildren, eight great-great-grandchildren, and many nieces and nephews. She is preceded in death by her husband of 64 years Elmer, parents Roy and Bessie, sisters Thelma Buntain, Maxine Peel, Waneta Ater, and baby brother Ellwyn Ater. Following cremation, a Memorial Service celebrating Mabel’s life will be announced at a later date. The family requests memorials be made to Hiattville United Methodist Church and Beacon of Fort Scott, and may be left in the care of the Konantz-Cheney Funeral Home, 15 W. Wall Street, PO Box 309, Fort Scott, KS 66701. Condolences may be submitted to the online guestbook at konantz-cheney.com.